Swimming will resume as normal tomorrow 18/10/17. Check out SWSC’s recent competitive posts by clicking here. Due to storm Ophelia, swimming has been cancelled tomorrow morning 17/10/2017 for both Marlins and Barracudas. 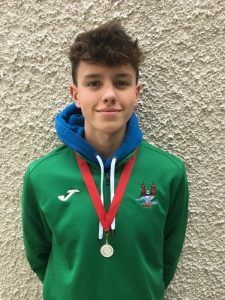 Congratulations to Neddie Irwin for setting a new club record at the Regional Qualifying Gala in Mallow. Neddie broke the previous 1500m Freestyle record with a time of 17:24.91. Please note that the SWSC membership is now closed (our waiting list is also closed) with the exception of the beginners lessons. Beginners are definite as children with no water skills (no submerging or floating unaided). Please be advised that due to a technical fault with the pool in UL, the Munster Schools Swimming Championships and Regional SC Championships will not take place in UL. We will update you with a new location (and possibly dates) as soon as we receive confirmation from Swim Ireland.